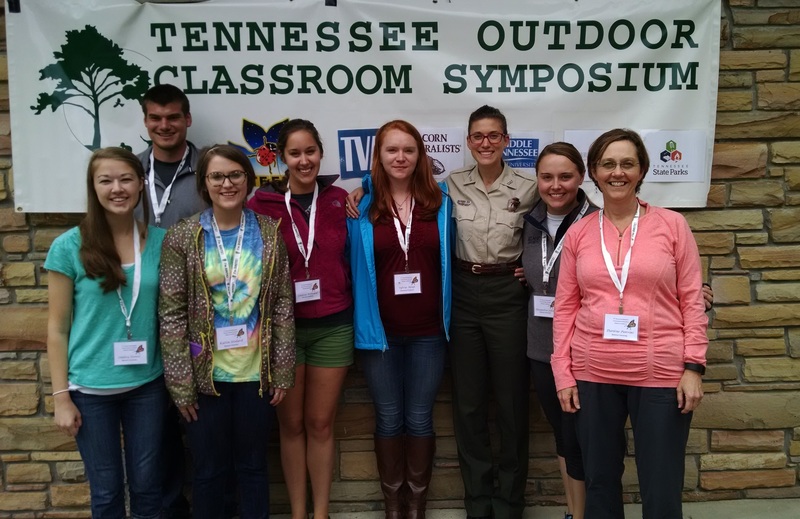 Professor and Chair of the Department of Biology Dr. Darlene Panvini and five students attended the Tennessee Environmental Education Association conference at Montgomery Bell State Park on Saturday, September 26. Participating students included Alex Jeffers, Walter Burn, Lindsay Millward, Lindsey Dennis and Katlin Stodard. Panvini, Stodard and Millward gave a presentation titled “Leaf Litter Decomposition Studies for Middle School, High School, and College Students” that discussed their senior research project. Drs. Panvini, Fox and Smith Whitehouse gave a presentation titled “Compost Happens,” which modeled an interdisciplinary lesson integrating science, mathematics and language arts. The group was also joined by environmental science alumni Erin Pitts and Sylvia Alsup, Assistant Professor of Mathematics and Education Dr. Ryan Fox and Professor of English Dr. Bonnie Smith Whitehouse.